Some would say history is just one damned thing after the other, that it should be put to rest in the past and that bygones should be bygones. These people are not necessarily wrong, but in an ever-complex world of globalised societies and rising exclusivist identity-politics, the stories we tell ourselves about the past help us define ourselves in the present and orient toward an unpredictable future. Some would say football is nothing more than 22 people chasing a ball around a pitch for 90 minutes. Also those people are not necessarily wrong, but history is made up of whatever people have come to value, and certainly football - a game played and watched by billions for over 100 years - seems highly valued. We would say that football history is made up of millions of stories, of individuals and communities, of movements and processes, which can open doors to the conversations we need to have in the present. Players who came from nothing to become international super-stars. Clubs which have been established to foster minority identities and belonging. People who have faced exclusion in a racist and bigoted past. Our European Football stories, starting with your local neighbourhood club, can not only excite the football and history fans but in particular create a space where those that are marginalised in European societies are included, feel belonging so that everybody can seek active citizenship. Sport – and particularly football – appeals to millions of Europeans, regardless of their sexual orientation, colour, gender, age, nationality or religion, often becoming a defining factor of identities and communities. The rich local cultural heritage of football and its shared history covering the turbulent 20th century history offers direct access to addressing past and present diversity. In addition, it helps to promote shared values, equality, non-discrimination and social inclusion with an integrated perspective, encompassing and innovating formal and non-formal learning, as well as youth work. 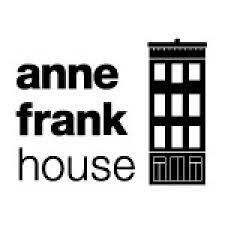 This project will see a unique European team, including a Football Federation, a professional Football Club, the renowned Anne Frank House and FARE Network, together with European networks of history educators and youth workers. Raise public awareness on the role of learning for social inclusion and increase the sharing of innovative practices across the continent. Needs Assessment: The project aims to produce a needs assessment through mapping and analysing existing approaches that use learning about local football history to enhance social inclusion and promote diversity. This output will gather data through local piloting sessions and an international survey, including data from over 300 individuals with from over 30 countries in or neighbouring the European Union. Exemplar Learning Activities: The Exemplar Learning Activities on European Football History for social inclusion and promotion of diversity (also referred to as Handbook) will be made available as an Open Educational Resource and will contain 30 activities that support teachers with dealing with diversity in the classroom, with tackling rising intolerance and with engaging students in an innovative and meaningful manner. Policy Recommendations: The Policy Recommendations for Education, Youth, Football and Sport will identify to policy makers in which way the findings of the Needs Assessment either support or contradict existing policies of using football history as a tool within formal and informal education and will make clear what kind and at what level changes are needed. Public Awareness Campaign: The campaign targets the wider society, urging major bodies in football and education to get behind the campaign and valorising research and educational approaches performed at the local level. In short, the campaign will have five components: a central campaign website, an event package, a short video, liveblogging at peak visibility moments, and ambassadors recruited amongst players who are well-known and support the priorities and objectives of the project. February 14, 2019 Help us Understand and Uncover the Educational Potential of Football History! The project will be implemented with the financial support of the Erasmus+ Programme of the European Union as part of the initiative “Football History for Inclusion - Innovative collaborations of school education and youth through the prism of local football history for social inclusion and diversity. 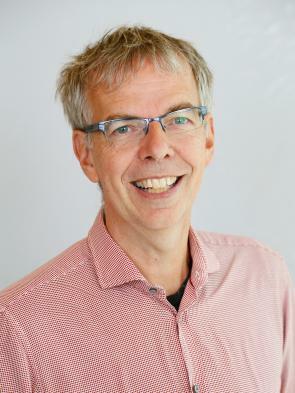 Prof. Dr. Gijsbert Oonk (1966) holds the Jean Monnet Chair (ad Personam) on Migration, Citizenship and Identity. He is the founding director of Sport and Nation.